The World Cup continues.. And I needed something to get my teeth stuck into.. Ahem..
It’s also festival weekend and fiesta friday.. This is a dish perfect for both.. 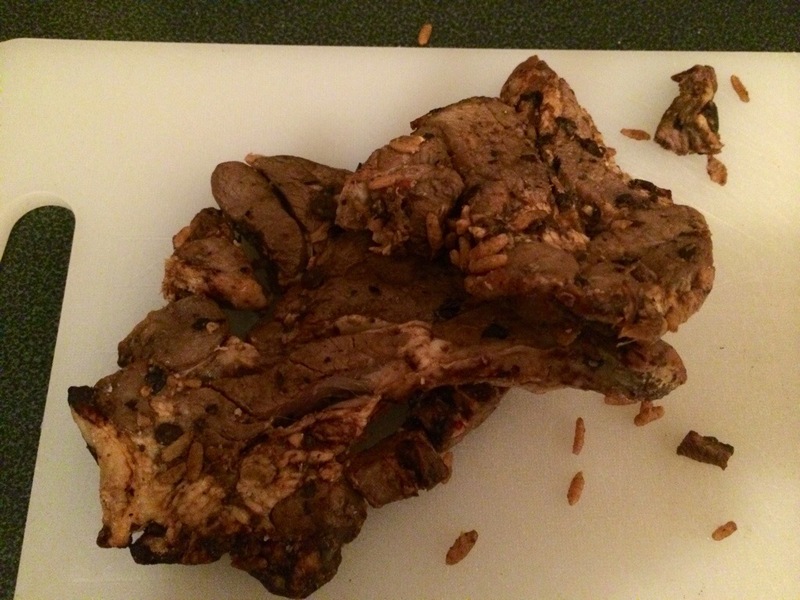 Still in use up mode.. A quick scan of the indoor freezer declared a couple of BBQ lamb steaks.. Don’t recall which bbq they were from . Must go through the posts! 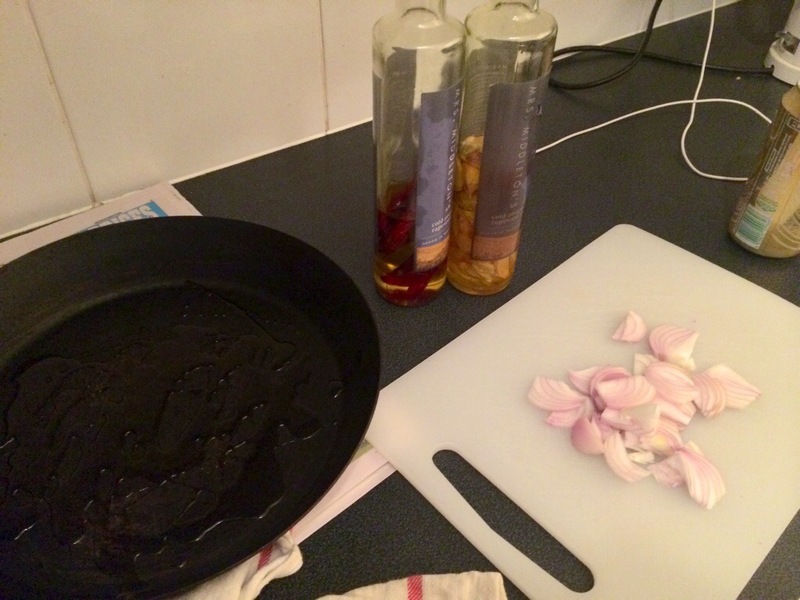 A pink onion chopped and fried off with mrs Middletons pimped roscoff garlic and Italian chilli oils.. 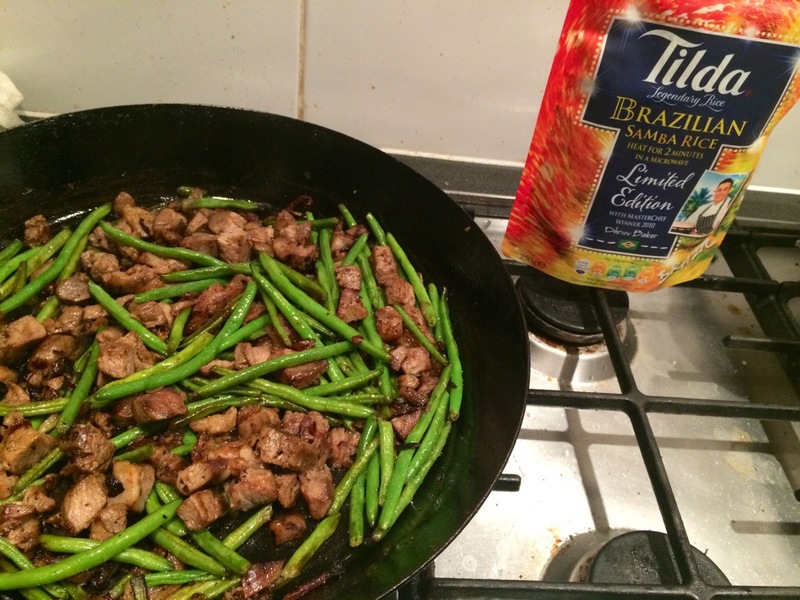 Adding the Brazilian rice from the tilda family.. #tilda , Their rice concoctions really are very good indeed.. And for times like these just perfect..
Fried off till the rice is catching a little on the bottom of the pan.. Reminds me of a rice dish my attorney makes..
A delicious one pan wonder..
And something to really get my teeth stuck into..
For desert it had to be a screwball..
Who doesn’t like a screwball? 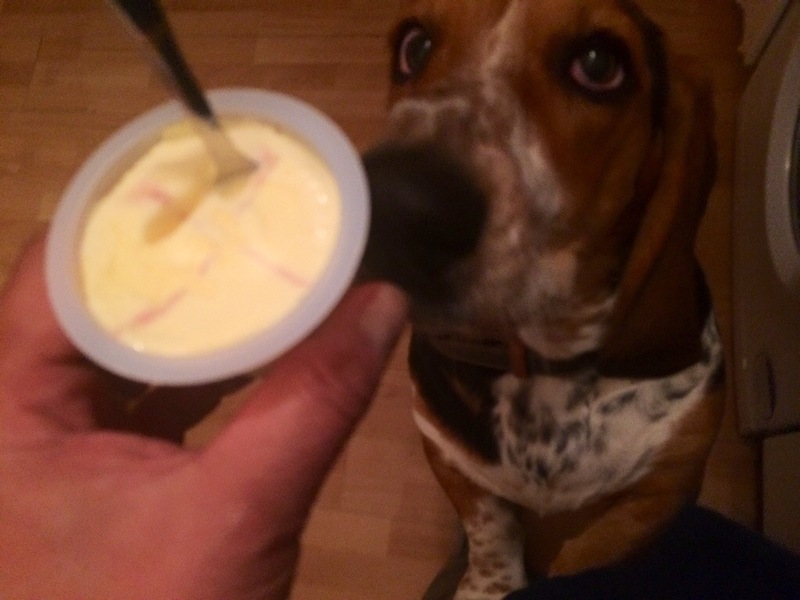 And how long did that poor dog have to wait before you gave him his share? He (it is a he?) looks so desperate for just a taste! It wasn’t long.. That’s my 9 month Basset Cora Murley, her older brother is Mr Wentworth.. They always get a little . ..
Haven’t had lamb in ages…and it looks fab with the green beans; that rice I haven’t come across. Really must hit the shops soon. So has Mrs Fitz removed herself from the house during World Cup? It’s pretty good rice I must say .. Their biryani one is also very good.. I don’t have enough lamb.. I forget I like it! Mrs Fitz is off in Eire.. To be honest I ain’t a massive Kickball fan.. !! Lamb and green beans- two of my favorites. You’re making me so hungry, Mr. Fitz!